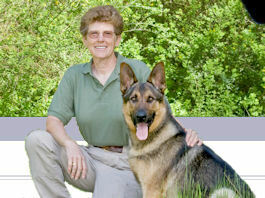 Here's Margaret starting out with Achilles. 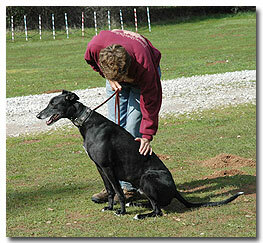 He was adopted by Elizabeth through the folks at the Northern California Greyhound Adoption Program. She first came to teach Achilles to jump into the car instead of being lifted in. That has worked so well that Elizabeth and Achilles are continuing with the classes. Here Achilles is learning to Stand and stay in place. 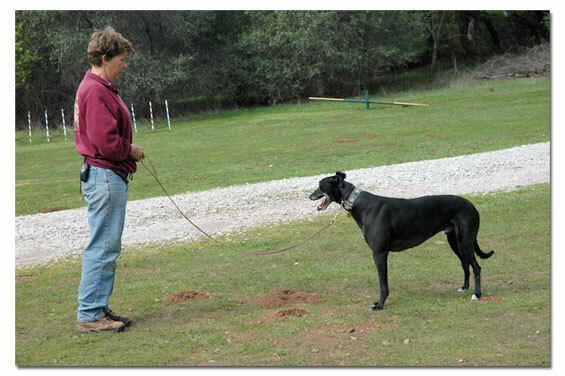 It is the same as the classic Sit/Stay but using the Stand to start the training. 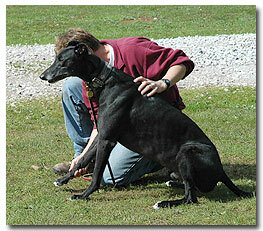 And who says Greyhounds can't sit? Here's Achilles showing off. All it takes is a gentle hand and patience in showing him what we want. Some learn faster than others and some are not comfortable at first. As always, patience and practice will produce results. At first, it is enough that a sit is performed and released. As time goes on the length of time in the sitting position can be increased. After sitting. how about a down? Margaret shows where the paws go and things proceed from there.